Invisalign is a nice option to metal braces for both teens and adults. There are no food restrictions, no unsightly metal brackets, less discomfort. You can get your teeth straightened almost without anyone noticing because the aligners are virtually invisible! At Simply Smiles Dental, we have treated many cases using modern orthodontic treatments such as Invisalign. 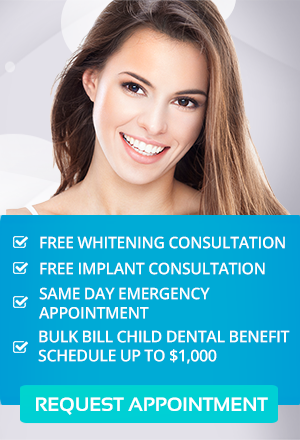 With the use of the latest technology and techniques, we can help you achieve that straighter smile. Invisalign uses a series of clear aligners that are customised to fit perfectly over your teeth. The aligners are like fine mouthguards that are designed to guide your teeth into proper alignment gradually. Completely invisible – the aligners can’t be seen while you are wearing them. You can confidently show your smile in public or socialise with your friends and co-workers without them realising you are having teeth alignment treatment. Comfortable – because the aligners are made from a special plastic material, they won’t irritate your mouth and gum tissues, unlike traditional braces. Custom-made – the aligners are customised just for you. The dentist will use imaging technology to replicate an exact impression of your mouth and teeth. The aligners are then made and fitted by your dentist. The process of teeth alignment has started! Removable – unlike fixed, metal braces, Invisalign aligners can be removed whenever you want to eat, drink or clean your teeth as well as when you are attending special occasions. With Invisalign, your lifestyle will still be the same; no change is needed. Effective – once your treatment is complete, you will notice the big difference the aligners have made. The dentist will create a 3-D model of your mouth. The model will be used to structure a plan for moving your teeth into alignment. The Invisalign Company will use the model and plan to fabricate a series of aligners just for you. The aligners must be worn for at least 22 hours each day. At Simply Smiles Dental, we love transforming smiles! We want you to enjoy life with a healthy and straighter set of teeth. With Invisalign, you can be confident anytime, anywhere. Experience the difference of wearing Invisalign at Simply Smiles Dental today. To find out if Invisalign is suitable for you, visit our office to make an appointment.